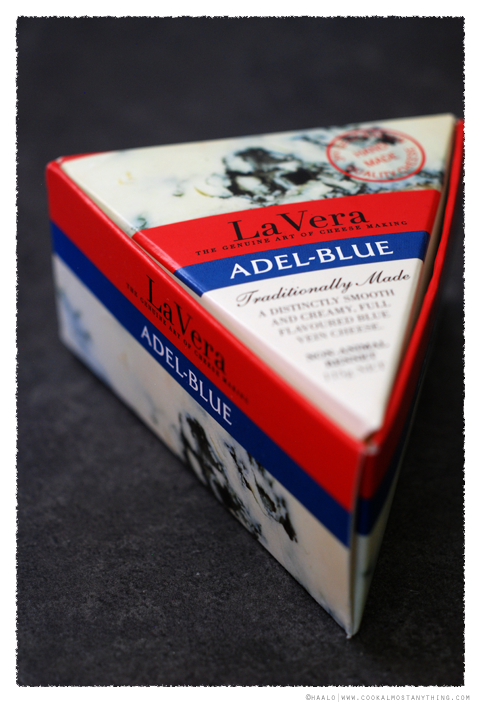 La Vera is based in the Adelaide Foothills and was started in 1984 by southern Italian cheesemakers. I most associate the label with ricotta, mascarpone and bocconcini so I was interested to try their blue, Adel-Blue. It's packaged in these neat 115 gram triangles. 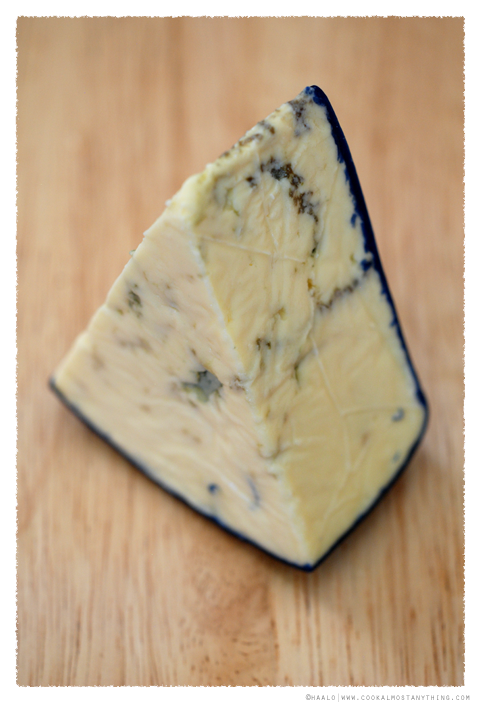 Sealed in plastic and wrapped in blue wax - these are a good size for the cheese board. In fact these have quite a long use by date, so it's the ideal cheese to have in your fridge for unexpected guests. It's not heavily veined as you can see, it's soft to cut and taste wise, Paalo describes it as "blue butter". 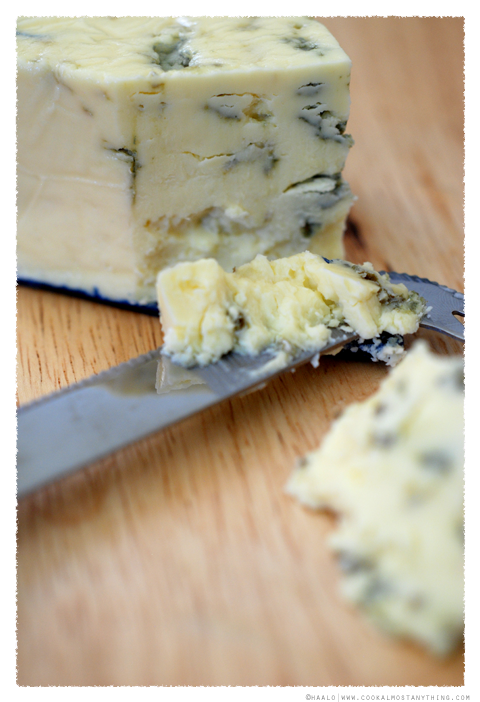 It dissolves on the tongue bringing those blue flavours out but then the creaminess kicks in and rounds out the flavour. A lovely savoury taste that lingers. This cheese should appeal to "blue novices" and "blue lovers" alike.